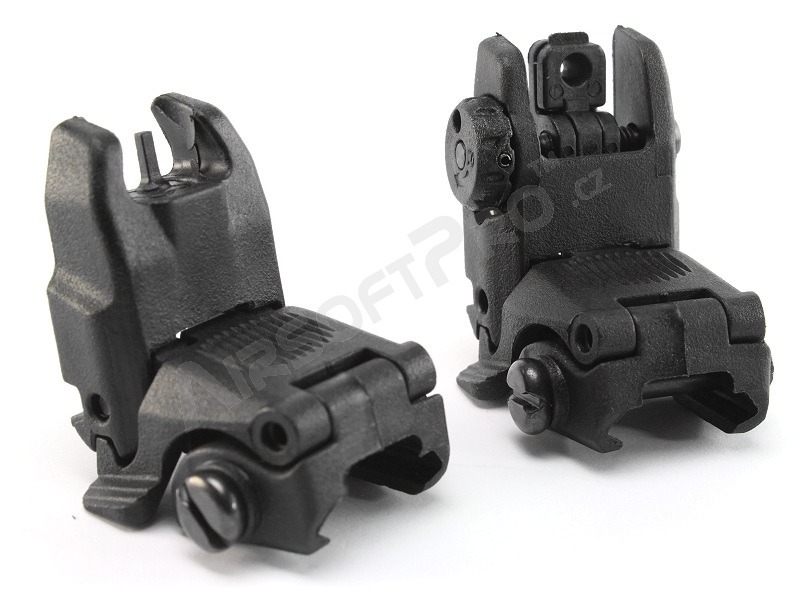 A set of folding sights made of durable polymer. 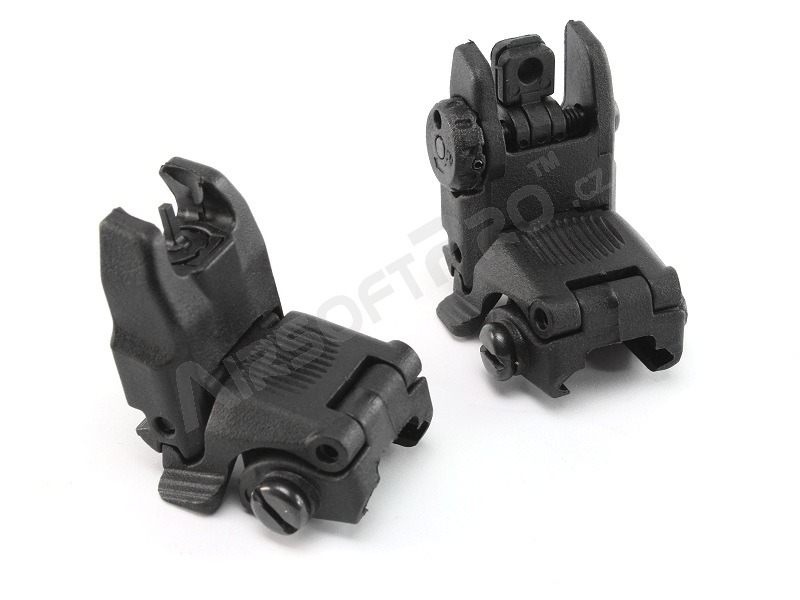 It's a pair of practical adjustable sights which doesn't block your view when using a red dot or a scope. You can make them standing by pressing a button. They hold their position very well. 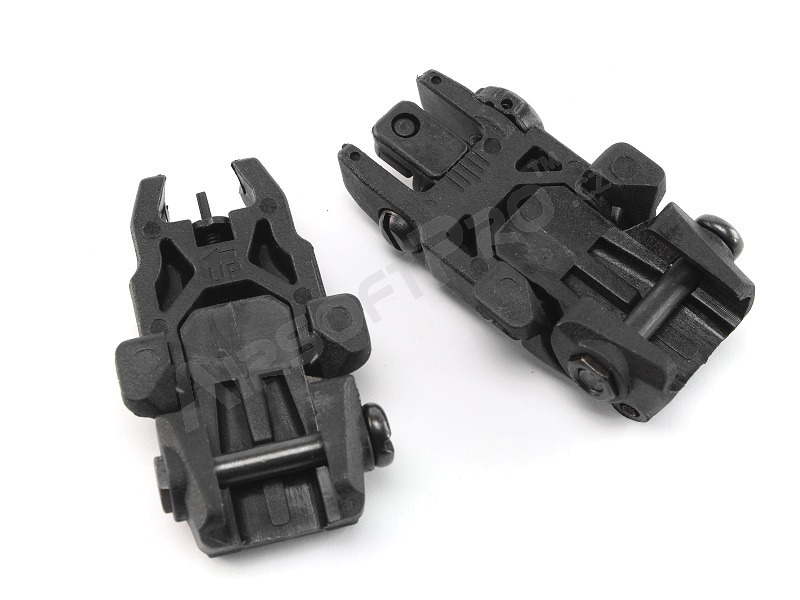 Compatible with standard RIS rails. 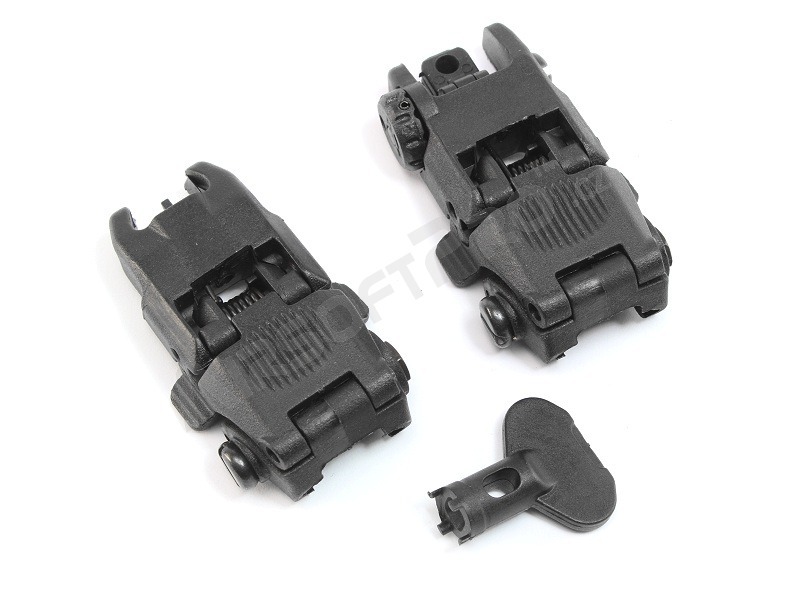 This set includes a front sight, rear sight and a key for vertical adjustment of the front sight.